North America has been the host for this important prairie plant; prairie clover plants are native to the area and have been vital food and medicinal sources for human and animal inhabitants. Clover plants fix nitrogen in soil. Purple prairie clover in gardens helps add this crucial macro-nutrient back into the soil. Growing purple prairie clover as a green manure or cover crop helps enrich soil when it is tilled back into the earth. 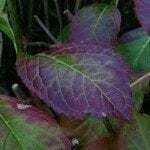 This plant practically grows itself and its usefulness is of great consequence to the health of your garden and soil condition. Purple prairie clover plants (Dalea purpurea) are perennials which produce upright stiff stems and bloom May to September. The flowers are bright purple and form as fuzzy cones on the top of the stems. Bees and other pollinators find these blooms irresistible. In their native habitat, clover thrives in sandy to alluvial soils, requiring little moisture after the plants have been exposed to spring rains. Clovers have an extensive branching root system and make excellent erosion control. The roots also fix nitrogen and help increase porosity and tilth when worked back into the soil. 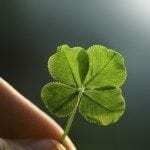 Clover flowers are hermaphroditic and have both male and female parts. Clover seeds require stratification to germinate. 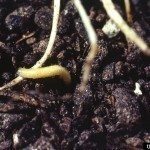 You can do this yourself by refrigerating the seed for three months and then sowing in spring, or purchase seed that has already been chilled. In nature, the seeds would naturally receive this cold period during the winter and then sprout when temperatures warm and spring rains arrive. Prepare a bed with plenty of compost added and excellent drainage. Remove competitive weeds and rake out any impediments. Seed should be covered by a dusting or 1/16 inch of soil. Moisten the area and keep moderately wet until germination. In 14 to 30 days you’ll see sprouts. The plant is useful in prairies, fields, ditches, hillsides or just in your vegetable bed. 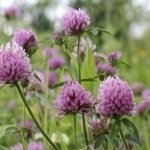 Clover is one of the easiest plants to grow provided the soil is well draining. The pH of the soil doesn’t matter but it does require full sun. Provide mulch around the bed to conserve moisture. No pruning is required, but you can mow the plants if you want to produce green manure, then just till in the remaining greenery. You don’t need to fertilize purple prairie clover and it only requires additional moisture at the beginning of establishment. Rust is a problem with this clover but you can avoid issues by minimizing overhead watering and irrigating only when the foliage has time to dry off before sunlight hits the leaves.